When Taryn described her new business vision as very feminine with lots of flowers I knew we were off to a great start. 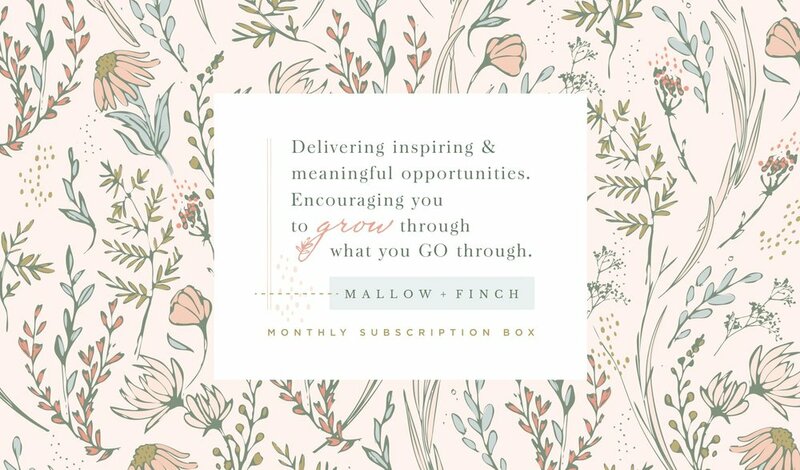 Mallow and Finch is a blog & subscription box based on women empowerment and inspiration. The business name took a turn mid-project, but it was worth it because this cute little finch joined us at that time. And her business cards came out so charming and unique! This tagline design paired on top of a custom floral pattern is a perfect example of how design can tell your audience who you are in a simple glance.